We set design standards and beat design standards. Our success story has always been customer satisfaction. through the post-order form. 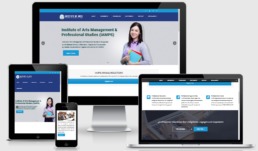 We design, develop, host and manage the website for you. We design and develop it. We update & manage it for you. HOUSEOFJURU.US- A corporate website built for African fabric and fashion house. When choosing a web solution provider, customer support and delivery are prime. You can always trust us for more. Our customer support attitude is indeed what a customer care should be. We work round the clock to respond to customer enquiries. You don't have to pay extra money for management of your website year round. The price covers development, management, security and update. We offer competitively low pricing, but with the best service delivery. 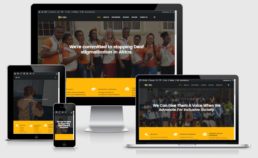 Our goal is to assist more African businesses own a website. We consider mobile first! 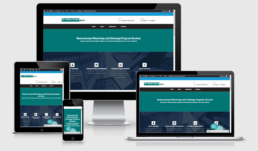 We develop fully responsive and elegant websites that run on all modern browsers and media screens. We ask the right questions about your business, goals, target, audience and budget. We research about your industry. All these inspire our design pattern and content. A passionate team of UI/UX designers, frontend and backend developers, experienced digital marketers and PR content writers. We love what we do when we make you smile! We didn't know we could increase orders online by 200% until AfrikNet came on board and handled our web presence with a befitting website and social media campaign. Sharon Chizzy Founder/CEO House of Juru Fabrics. AfrikNet support for our gradual move to internet platforms has been amazing. Their timely recommendations and delivery show that they are unique among digital agencies in Nigeria. Dr Prince Nwawuba. Registrar IAMPS. I am impressed with the relationship and consultancy we receive at AfrikNet. They are our official ICT partner and we are grateful for that.